Studio Opened by Claire Adam, world champion. Appeared on Got to Dance 2013. Home of LOONIQUE street dance Crew. Offers Drama Classes, Break Dance classes, Studio Space to rent, Kids themed Parties, Tanning Booth on site. Sorry, but we have no upcoming events for House of Dance. 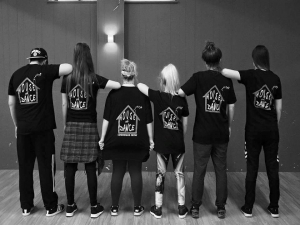 If you know of an event taking place at House of Dance or anywhere else in Renfrewshire tell us about it and we'll list it on the website, for free!